With all the talk about the upcoming Hunger Games movie, especially some people’s understandable nervousness over whether the story will be crushed under the heel of Hollywood conformity, I thought it would be a good idea to weigh in with my own optimism. And if you’re a person who knows me in real life, you probably just fell out of your chair. Because I’m not optimistic. Ever. In fact, I have a very strict policy on why pessimism is superior (every surprise is a pleasant one when you expect the worst), and movies are no exception. Of course, I can’t help getting excited about some. I admit I’m drooling to see The Hunger Games on a big screen. I LOVED the books (yes, the word love needed to be in all caps), and I’ll probably be the first person out of the theater who utters the words, “The book was way better.” But I want to look at why that’s not just inevitable, but also perfectly fine. No matter what the story, the book is almost always better than the film. There is the rare anomaly, of course, which is usually because the film improved upon the actual plot. But as far as visuals, acting, special effects, set design, etc., nothing is going to quite measure up to a book you really loved. A lot of people will tell you this is due to the boundlessness of the human imagination, but I don’t think that’s necessarily true. These days, any great special effects team is capable of creating just about anything you can imagine, and if a film is completely animated, even more is possible. Other people will mention that a book really gets into the characters’ heads and no film can do that. While there’s no denying that’s true, I think our capacity for empathy brings us pretty close to understanding what any reasonable character is going through. I think the real reason the book is usually better is that every book has not one, but many authors. The writer is just a guide. The readers are the architects of the world, characters, music, everything. Every book you read, you build to your preference, as long as you’re given room to do so. So it is perfect for you, and no filmmaker is going to be able to match that. They are building their story for a wide audience, not just you. In seeing any film version of a book you loved, you’re going to have to sacrifice the look you gave to your favorite character, the way a certain scene was laid out, or the choreography you carefully crafted. But here’s the thing. I still enjoy watching someone else’s vision of a story I loved, even if they don’t see it in quite the same way I did. I think it’s amazing how two different people can be told the same story and see such incredibly different things. And unless The Hunger Games movie is nauseatingly bad, I know I’m going to enjoy experiencing another person’s vision of the books. If all I wanted was my own vision, I’d just read the books again. In conclusion… check out this trailer! It is NOTHING like how I pictured it, and that makes it awesome. No, seriously. I think the only part of these books The Other Lamm didn’t like was how they compelled me to cry, “Peeta! You’re so damn cute, Peeta! Don’t DIE, Peeta! Peeeeeeetaaaaa!” every other page. What’s in a Name? Besides Letters I Mean. I find it fascinating how some characters influence their names, and even more so, how a name will often influence the character. I thought it might be fun to examine how the nine characters in Titan Magic got their names, and what those names did for them. I’ll divide them by family and dive right in, starting with the heads of the households, as a matter of due respect. Charlotte‘s first name happened because a voice actor for an animated film (a billion points if you can guess which one) pronounced the name in a way that had me roaring every time. The film was supposed to be romantic and tragic, but I just couldn’t help laughing every time Charlotte’s love interest said her name… and he said it often. So Charlotte Lavoie was born. She never fails to laugh in the face of tragedy, and I still love her name. I decided on Madeleine‘s name while eating madeleines. They are so good. So, so good. This has little to do with the character herself, but it is a funny way to come by a name. Oh, Marcus… “The brother” was not terribly complex when he began. He was only there to prevent Maddy from being an only child. I knew he was a responsible kid with a real mean streak, but I had no idea what to name him. I happened to bike right past a building called Marcus Pavilion just as I was mulling it over. He’s been Marcus ever since, and as it turns out, he plays a MUCH more vital role than I originally intended. As soon as he had a name, he just kind of… took over. Then he totally yelled at me for not having realized he was a main character right away (true story). Father Androcles was named for Androcles of “Androcles and the Lion” fame. And if you have no idea what I’m talking about, you should find out! Seriously! You’ve heard the fable before; you just don’t remember. His I’ll-scratch-your-back-if-you-scratch-mine attitude was part of where he got his name. Duke Eli Mahler took his name from a Decemberists song called “Eli the Barrow Boy”. I just love that name. As soon as I heard it, I knew it was perfect for the ignoble duke. I even included a scene in which Eli utilizes a wheelbarrow because I just didn’t see him as the type of guy who would forget his own roots. James got his name from one of the greatest antagonists in all of children’s literature: Captain James (Jas) Hook. Anyone who knows me knows my enormous esteem for J. M. Barrie’s Peter Pan. It is one of the loveliest, most imaginative pieces ever written. I gave Jas Captain Hook’s name in an attempt to honor them both. And because I like the sound of it. That, too. William (Squeezable) Taylor took his name from a friend who jokingly asked me to name a character after him, and then asked me to make that character a pimp. I complied, sort of. Then Will took over and shocked me in much the same way Marcus had. I just love it when they do that. The Queen of Silence’s given name, Désirée, was inspired by the name of Titan Magic‘s first reader, who gave me the encouragement I needed to finish the story when it was being the trouble-maker it often was. And finally, Kaspar… I just love the name, and The Other Lamm says I’m not allowed to use it for my future children (you can commence yelling at him, now). As a character, Kaspar has a special place in my heart, and I hope you’re just a little curious about him because you’ll be seeing much more of him in book two! I am not a gamer. That’s a confession, not a boast. There are a very limited number of games I’ve ever been able to finish. I don’t think I have the knack for them. I blame my attention span. For example, last weekend, The Other Lamm told me about a computer game he thought I would like. “The story’s not great,” he said, “but the puzzles are so much fun.” And that’s all he needed to say to convince me to avoid the game altogether. People have said similar things about films like Transformers and Avatar: not the best storytelling, but fantastic special effects. I never saw either film, and I have no regrets. Likewise, some games may be perfect in every other way, but story and characters are both the frosting and the cake to me. 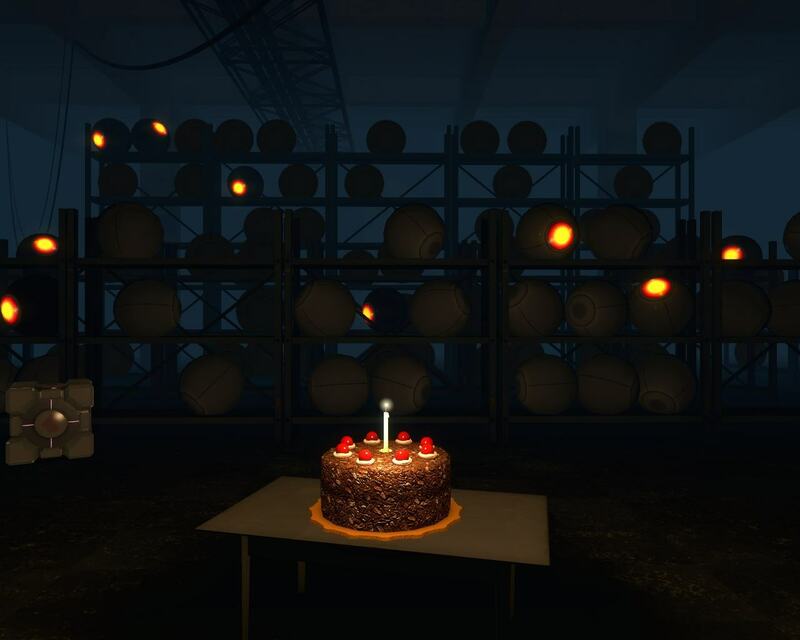 And in Portal, I gotta say, the cake was definitely NOT a lie. Hahaha! What? I had to do it. It was required by the board (don’t ask what board; just accept). 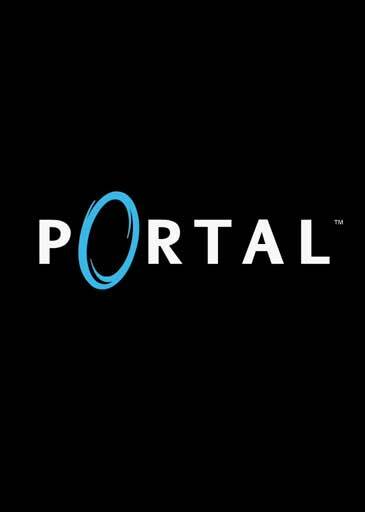 Anyway, Portal‘s story may not be all that different from your usual science-gone-awry computer game, but what Portal has that sets it apart for me is GLaDOS. Is she not the most amazing antagonist you’ve ever had the pleasure to hate? Honestly now, have you not known at least four or five people just like her? She’s beautiful. She’ll say the sweetest things while she tortures you. She’s the Mistress of Backhanded Compliments. I can’t get enough of her. And now I’m playing Portal 2, which is the most giggle-worthy sequel ever. And just so this isn’t another gush post, I’ll mention that I play for team antagonist when it comes to storytelling. It isn’t that I want the antagonist to win, but I absolutely acknowledge that antagonists drive the story as much as, if not more than, “our hero”. And usually, I find the antagonist to be the more interesting character. So I often judge a story by the calibre of its villain. And GLaDOS is a German chocolate dream come true. I will never tire of solving puzzles while that sweet-voiced, sarcastic, super computer insults my efforts and demeans my character.